The waters around the Channel Islands offer a great and challenging dive environment. With excellent reefs, wrecks and abundant marine life, we have it all. Whether you are a beginner looking to experience the thrill for the first time, a seasoned diver with many dives under your weight-belt or an advanced / technical diver looking to push your limits, Dive Guernsey will be your buddy. We know that each diver has a different interest. So whether you want to Explore a World War 2 wreck, take some photos, shoot some video or catch your evening meal. We have the knowledge and experience to take you there. Jersey is great for spear-fishing, with many sloping bays offering a large amount of shallow water in which to hunt. Of course, there is plenty of SCUBA sites and a few good wrecks too. 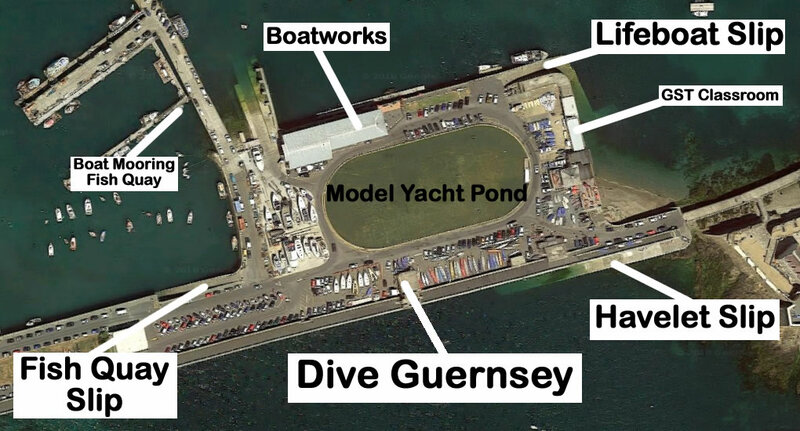 Guernsey is a great all-rounder, but best suited to SCUBA with many great dives close at hand. We have in easy reach, a dive to wet anyone’s appetite. Whether it be a Wreck, Reef, Photo / video or Scallop / fish collection dive. Many sites can offer a range of depths meaning that a single dive trip can cater for all levels and tastes. Our East coast is especially good being right on our doorstep providing good shelter from the prevailing winds and a great range of diving, with Wrecks, Reef, Wall and Scallop dives all within a few minutes boat ride. We also have the most popular shore dive site at Havelet bay, which provides constant shelter from the tidal streams and compared to other bays relatively deep water, easy access and a variety of dive environments offering reef, sand, gravel and a seaweed “forest”. Sark offers great reef diving, with many amazing wall-dives. Often the visibility is better than the other islands with 15+ meters often seen. Also due to the placement of the island and tidal flows, most sites are easily accessible, with “slack” water for 6 in every 12 hours. Our favourite way to experience Sark is with a day-trip with 2 or 3 dives, followed by a quick sortie ashore for refreshment. Herm has some great diving on its Northern coast, including the wreck of the Forth and some great scenic wall diving, at the very northern tip is a seal colony. Herm has some lovely beaches and a great pub which is the perfect place to relax with a bite to eat and a pint after a days diving. To see what we get up to, check out our Youtube Channel or our Photo’s on facebook. Start your journey today by visiting the contact us page, or check out the events we have coming up on facebook. For more information on the specific types of diving, click on the links below. For more information on courses, click on the links below. 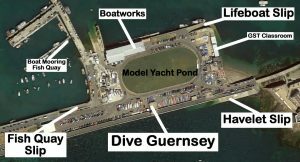 The map below shows meeting, pick-up and drop off places for diving with us. Divers must also have contact details on file, the form for this can be downloaded here. A series of short videos and clips of what we've been up to when there isn't enough footage to make a full video.